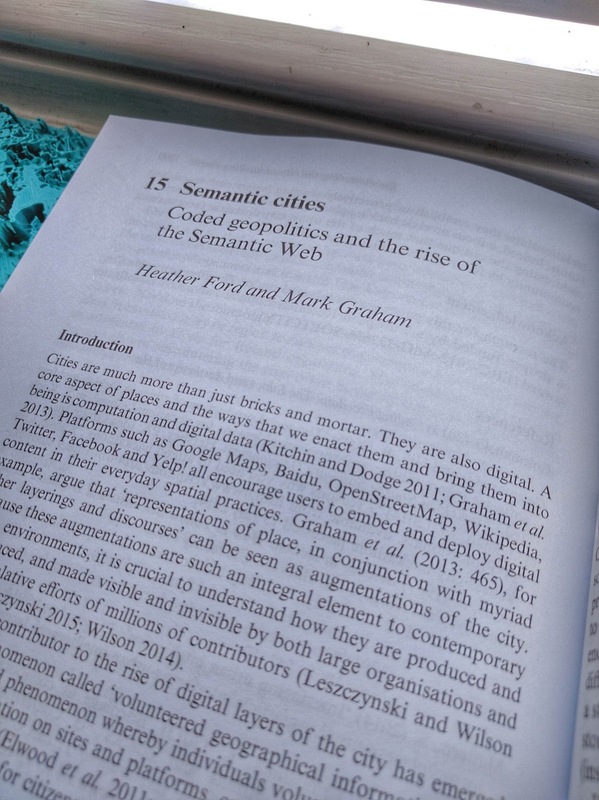 Semantic Cities: Coded Geopolitics and the Rise of the Semantic Web. In order to understand how the city’s contested political contexts are embedded into its digital layers, we traced how the city is represented on online platforms that house facts about much of the world. We did this by analyzing representations of Jerusalem across the Arabic, Hebrew and English versions of Wikipedia (working with a translator on the Arabic and Hebrew versions), as well as on the platforms of Wikidata, Freebase and Google. 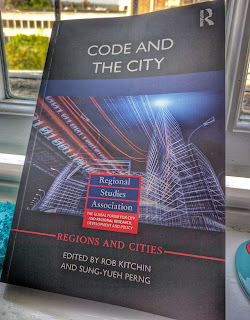 As our cities become increasingly digital, and as the digital becomes increasingly governed by the logics of the semantic web, there are important questions to ask about how these new alignments of code and content shape how cities are presented, experienced, and brought into being. What we found is a paradoxical situation whereby, through connecting datasets, semantic web initiatives detach localized information from the contexts of its creation. By divorcing content from its contexts, this process establishes new contexts in which necessarily political decisions are being made with far reaching consequences. We also have an earlier blog and webcast on the topic (and here's Washington Post’s coverage of our work).